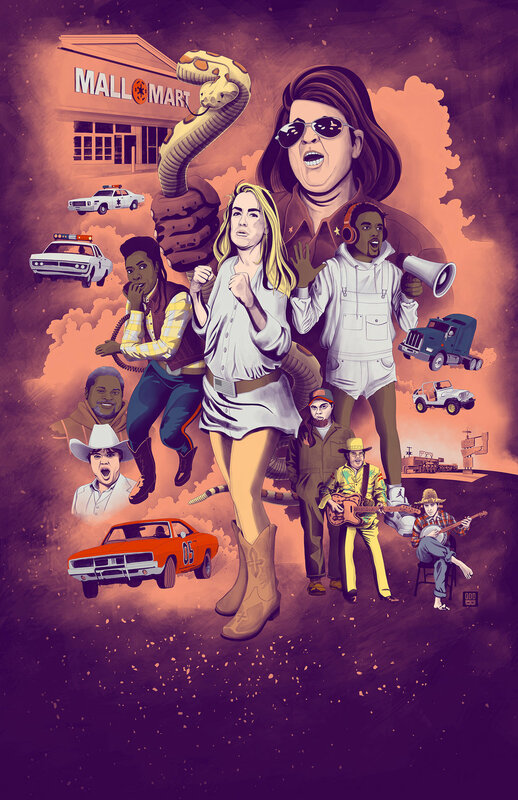 When you receive an inquiry asking if you'd be interested in creating a Star Wars / Dukes of Hazzard mashup based on the original Star Wars poster for a renowned neighborhood theatre, the answer is an unequivocal "yes". I created the poster art for an upcoming production of "Lawrenceburg" at Dad's Garage Theatre in Atlanta. The show runs from Sept. 7 through Oct. 13, 2018.